Make cocoa mix as directed on package, using water instead of milk. 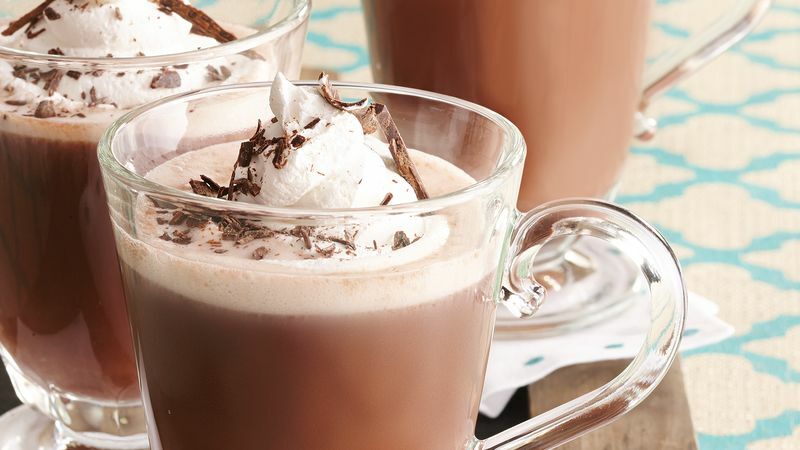 In small bowl, stir together crème de cacao, schnapps and cognac; stir into hot cocoa. Pour mixture evenly into 4 Irish coffee glasses. Top with whipped cream and chocolate shavings. You could make this drink a day ahead and serve it chilled instead in martini glasses.